As noted on Excite, Capcom is releasing a Toraware no Paruma (Captive Palm) hug pillow that features Haruto, the game's hunk who has lost his memory. It's possible to "undress" Haruto, which I'm certain we've seen before with women characters on hug pillows, but I don't recall seeing this for dudes. Maybe I've lost my memory, too! We know Haruto has, so if you talk off his clothes, please remember to put them back on, because goodness knows if he will. 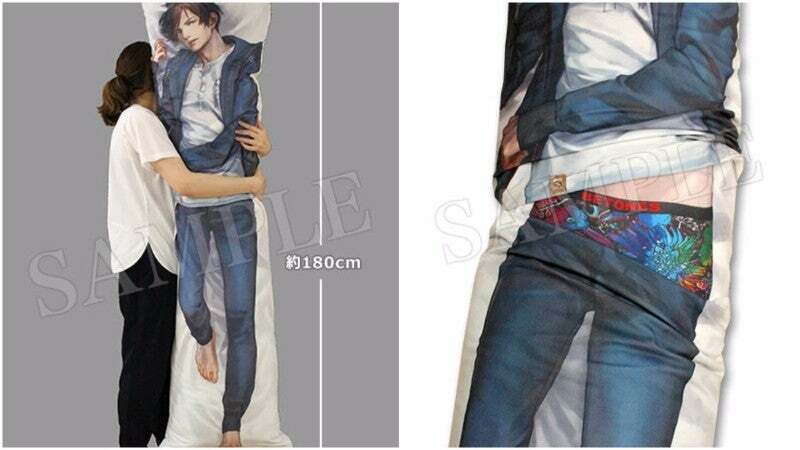 The Captive Palm hug pillow is priced at 23,148 yen ($294), which includes the three different pillow cases. You are responsible for the pillow part as well as for the hugs.